Eddy Krygiel, AIA, LEED AP is a practicing architect at BNIM Architects, which has four projects that have received AIA COTE Top Ten Green Project Awards. Eddy is responsible for implementing BIM at BNIM and also consults for other firms looking to implement BIM. He also teaches Revit to practicing architects and architectural students and has lectured around the nation on the use of BIM in the construction industry. 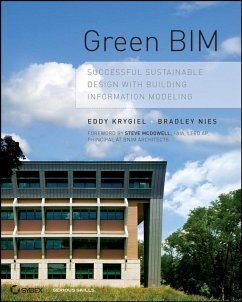 Eddy has co-authored papers and books on BIM and sustainability as well as several books on using Autodesk Revit Architecture. Bradley Nies, AIA, LEED AP, is a registered architect and Director of Elements, the sustainable design consulting division of BNIM Architects. Brad has worked on all levels of U.S. Green Building Council LEED-Certified projects, including two that achieved Platinum certification. and Place. Reducing Material Needs. Setting a Baseline. Using BIM for Sustainable Materials. 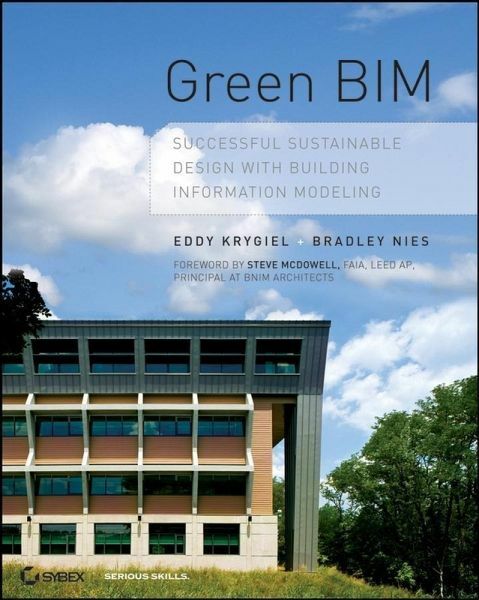 Chapter 7 The future of BIM and Sustainable Design. Moving Forward with BIM. Using BIM as a Tool for Integration. A Fundamental Tenet of True Sustainability. Moving Forward with Sustainable Design. Leading by Example. Funding Green Design. Opportunities for Change. Index.